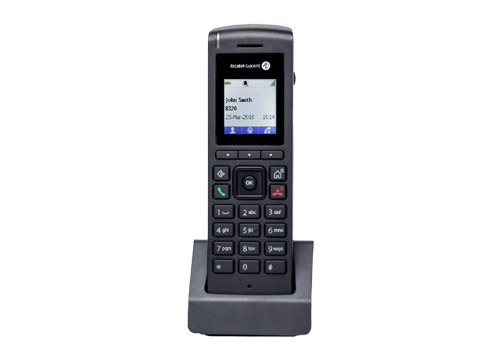 The 8212 DECT Handset runs on both the 8340/8340-C IP-DECT Access Point and TDM IBS/RBS radio infrastructure. It is supported by the powerful Alcatel-Lucent communication servers. The 8212 DECT Handset, its charger and cable are sold directly in one box.